Jaipur, April 3: His figures of 3/12 from four overs turned the game in Rajasthan Royals' favour and spinner Shreyas Gopal feels just extra fortunate that those three wickets were none other than Royal Challengers Bangalore skipper Virat Kohli, star batsman AB de Villiers and young sensation Shimron Hetmyer. Speaking after the game, Gopal said: "I still say I'm fortunate and lucky to get such big wickets. As a youngster, it's not going to come everyday and it's one of my biggest moments. I was more fortunate that our plans worked today." 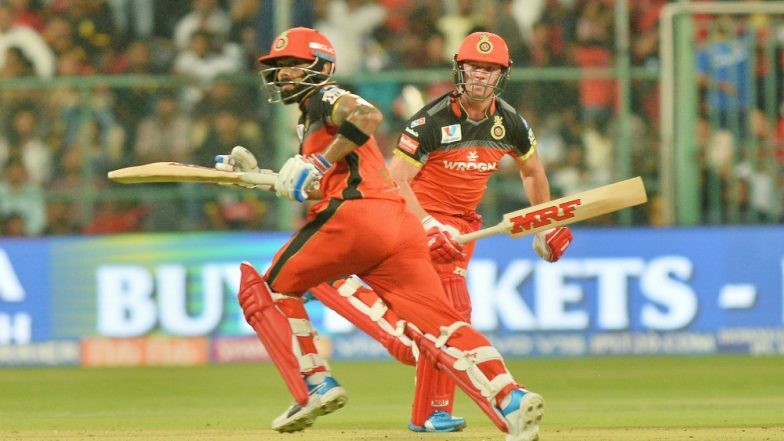 Gopal said that the pressure created in the powerplay helped the spinner as the RCB batsmen looked to attack him to get the scoreboard moving. RR beat RCB by 7 wickets | Royal Challengers Bangalore vs Rajasthan Royals Live Cricket Score 14th T20 Match. "We created a lot of pressure in the first six overs. They didn't get 65-70. They had to make runs off me, I had better chance of taking wickets. Just went on gut feeling, nothing planned as such. It's good to have few different balls up your sleeves and be able to execute. We (wrist spinners) get to spin the ball both sides and that's probably an advantage. It's about bowling better areas and sticking to plans," he said. Skipper Ajinkya Rahane was all praise for his young teammate. "Our thinking was, dew would come into effect. His (Shreyas Gopal) record against Virat and AB -- we all know," he said. Rahane felt that while Gopal was a standout performer, the other players also did a good job. "Overall, it was a great team effort. After 3-4 overs, we came to know that the wicket was slow. All the bowlers chipped in really well. That's what we wanted to do. We played good cricket in the last three matches. Today, it was about giving more than 100 per cent," he said. While Gopal snatched the limelight with his quality effort with the ball, Rahane also praised Rahul Tripathi (34* off 23 balls) for playing a mature knock to take RR home. "I think the way he (Tripathi) batted with (Steve) Smith and (Ben) Stokes, it was incredible," he said.